Here at Physiokids (@PhysioCentral) our experienced physiotherapists provide paediatric physiotherapy services for children 0-16 years with problems in physical and sensory-motor development. A working knowledge of motor development as well as other aspects of the child’s development is the very basis of the practice of paediatric physiotherapy. 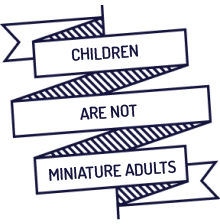 Children are not miniature adults; their bodies are still developing. Intervention needs to be adapted at different stages of their cognitive, perceptual and motor development. The aim of paediatric physiotherapy intervention is to provide playful, child directed, meaningful activities to lead to a more adaptive and functional life.